My husband loves au gratin potatoes; I love them too. 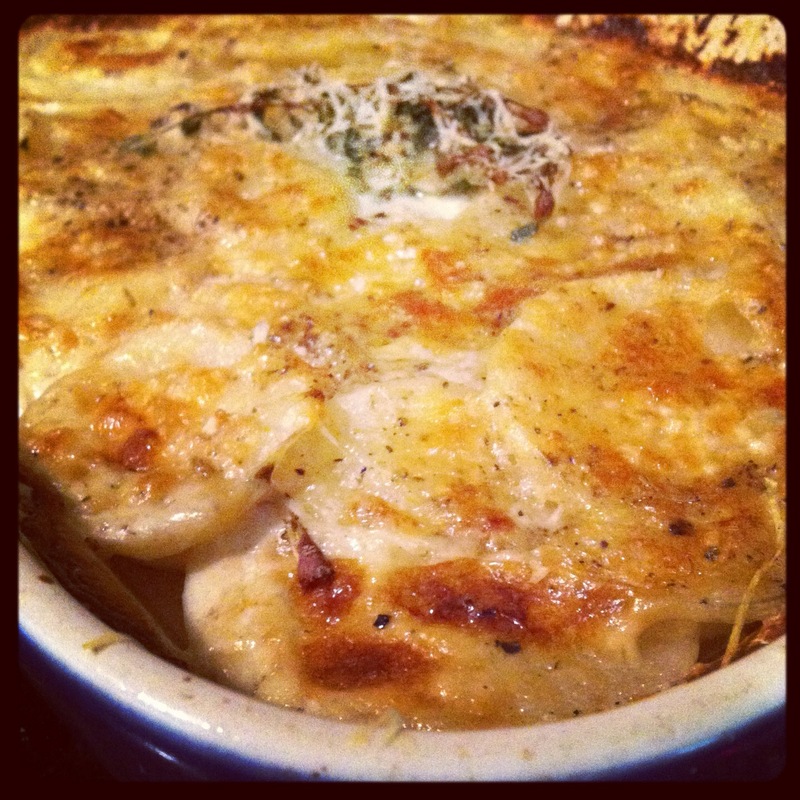 how can you not love a potato layered with heavy cream and cheese?! This dish is not too healthy because of all of the cheese, heavy cream, and whole milk, but a splurge is fine every now and then, right? I think you'll believe me after tasting this that this is delicious and simple too! Preheat oven to 375 degrees and butter a casserole dish. In a small saucepan over medium heat, combine cream, milk, thyme, minced garlic and a pinch of salt and pepper. You want the cream heated through, but not boiling. Bake, uncovered, for about 45-55 minutes until bubbly and golden brown. Tip: You can cut your potatoes ahead of time but put them in a bowl of salted water so that they will not turn brown. Recipe adapted from Gluten Free Fix And check out her other recipes; they are delicious and easy to make too!